Now Available on Barnes & Noble.com! | Dream It - See It - Live It! Now Available on Barnes & Noble.com! My new book is available on Amazon.com and now Barnes & Noble.com. 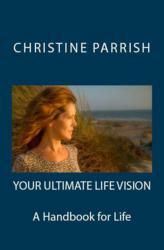 After you read Your Ultimate Life Vision, be sure to write a review…and then go make your life remarkable!